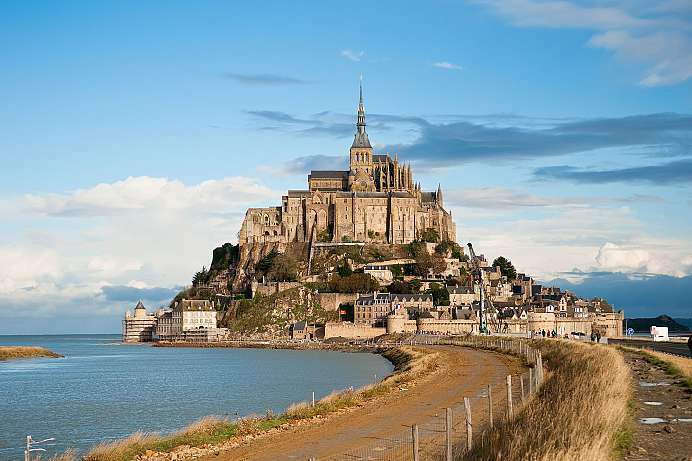 The 120 kilometer long Emerald Coast is located between Cap Fréhel to the west and Mont-Saint-Michel in the East. The name is derived from the color of the emerald green sea, which breaks against the weathered cliffs. In between are small sandy coves, which at low tide turn into wide, golden beaches. During the 5th and 6th century Irish monks landed on this varied and beautiful coast. They were running from the Anglo-Saxons and at the same spread Christianity in Brittany. Countless place names that start with Saint remind of those days. Almost every village here has its own saint whose bones are often kept in the church. The old seafaring town was originally on an island that was connected to the mainland by two dams. It is named after the Welsh hermit monk who lived on the headland in the 6th century. Because of the Norman raids in the 9th century, a fortress was built with strong walls, in which today is the old town. 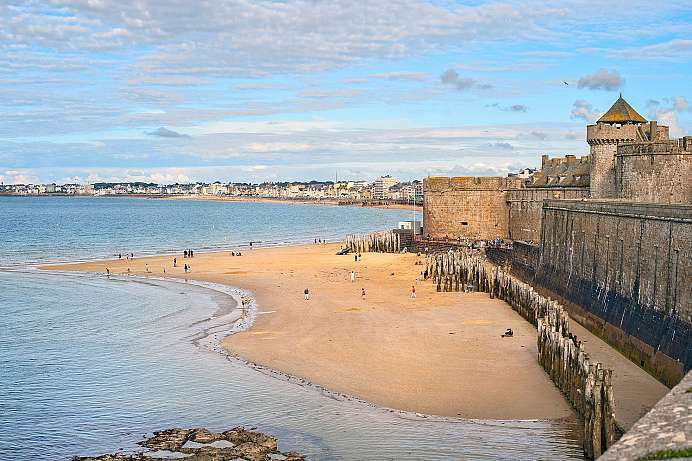 St-Malo has been a popular seaside resort since the 19th century, many beautiful summer residences are still left. Especially recommended is a walk over the “remparts”. From the preserved city wall you have a fantastic view over the old town and the sea, which looks completely different depending on the tide. The difference between low tide and high tide is particularly high – between 8 and 12 meters!